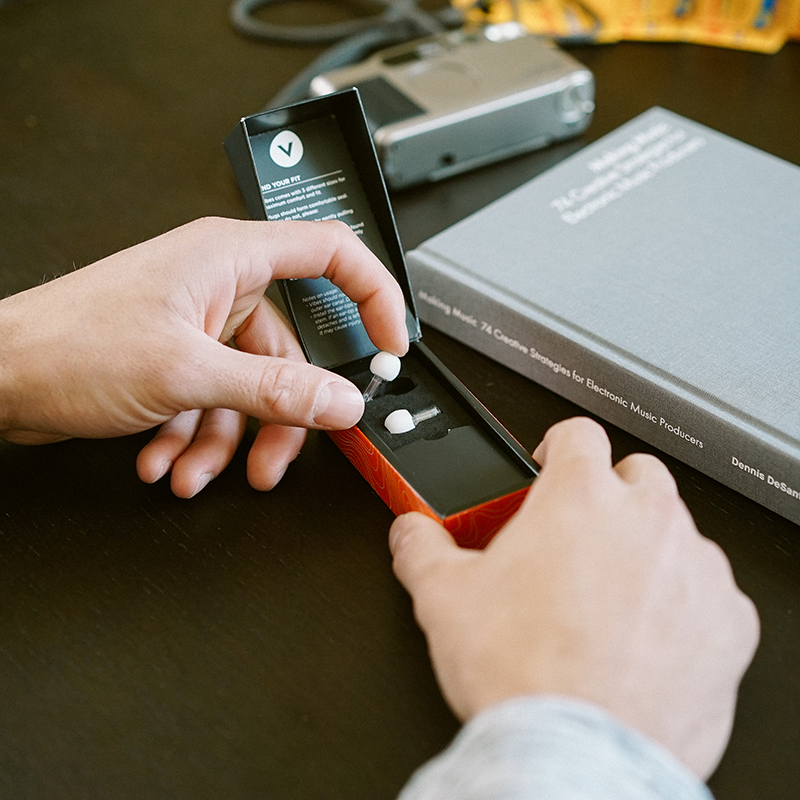 Using patent-pending technology, Vibes Hi-Fidelity Earplugs are designed to enhance your live music experience. 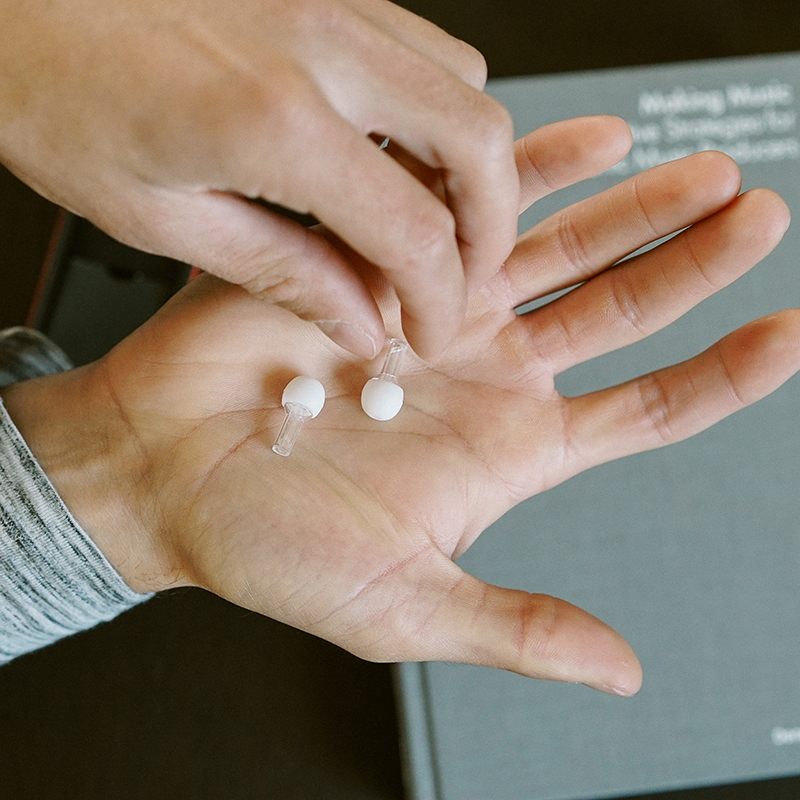 Unlike traditional foam ear-plugs, which are designed to stop sound, Vibes have been specifically designed and created to filter acoustics so they lower decibel levels of your environment without sacrificing clarity. You hear true natural sound the way it was intended: clear, clean, and controlled. Featuring a minimalist design and a “clear-as-glass” outer sound tube, Vibes are designed to be easily accessible and virtually invisible. 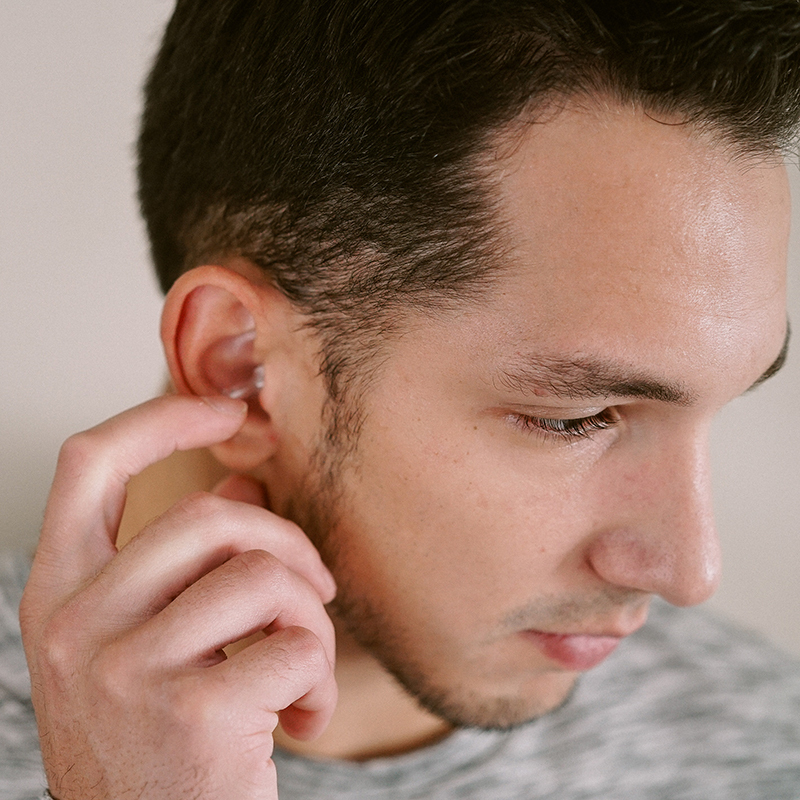 With a variety of interchangeable ear tip sizes in every package (small, medium and large), you can ensure maximum comfort and fit. Vibes have been constructed from carefully selected materials chosen for durability, longevity, and comfort. And with washable ear-tips Vibes are reusable and built to last. Each pair also includes a pocket-sized hard carrying case for safe/easy storage. Shipping: U.S. only, see check-out cart for more details. The average concert can be around 100 dB’s. Experts agree any noise over 85 decibels causes hearing damage. At this decibel level, your body is straining to take in sound as it is over-exposed to noise. Right now, the standard option for a consumer is to use foam ear plugs which are stigmatized, uncomfortable, non-reusable and were never designed for music or sound quality in mind. They were made to deaden sound in environments where quality is of no concern. At Vibes, they understand that there is a difference between a construction site and a music venue; a symphony and a gun-range. 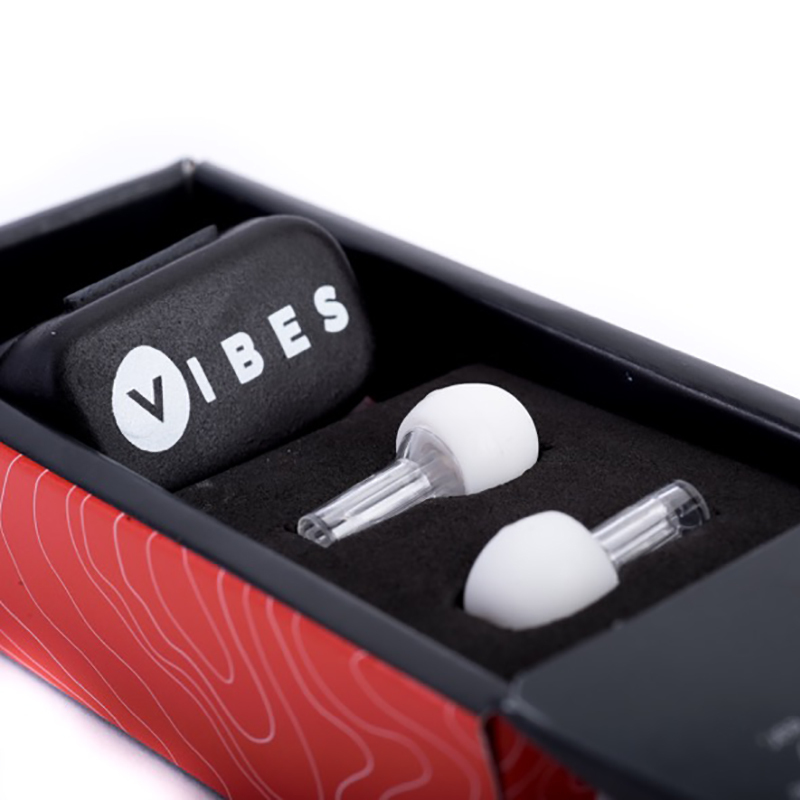 Vibes wants to revolutionize the live-sound experience by offering a product that honors both hearing health and sound quality. Additionally, in partnership with the Hear the World Foundation, each pair of Vibes purchased will help fund hearing projects that provide hearing aids, surgeries or education to those in need around the world.